The Saint-Pantaléon church was, during the Renaissance, a parish of wealthy bourgeois, who made a point of displaying works of art, such as statues and stained glass windows. After the Revolution, 16th century sculptures rescued from other buildings were brought there, transforming it into a remarkable museum of Champagne religious statuary. Some authors mention a synagogue on this site and then, starting in 1189, a half-timbered church dedicated to Saint-Pantaléon, martyr. 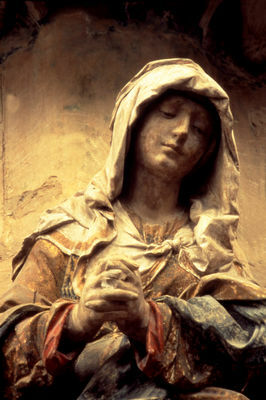 According to legend, his hands were nailed to his head in Rome in 304. At the start of the 16th century, the church was replaced by a stone building that was partially burned in 1524. Nearby devastated land was annexed in 1527 in order to build a larger church. In 1570, the lower parts were covered by a temporary roof and the upper part was finished a century later. Around 1740, a span and the classic façade were added. The sober exterior features a portal with two superimposed pediments and an astonishing octagonal steeple. 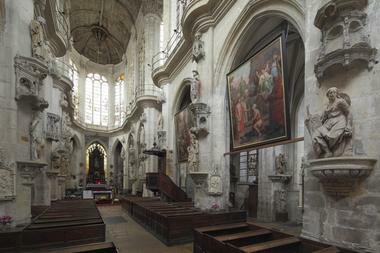 The interior creates a sensation of elevation owing to the narrow nave. The surrounding balcony, the 28-meter wooden barrel vault and the huge bay windows are also remarkable. The pillars support two rows of beautiful statues. 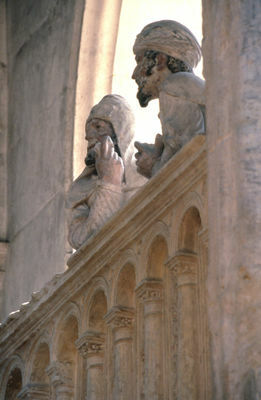 On the 1st pillar to the right, is an admirable Saint Jacques by Dominique Le Florentin, master of the Troyesschool and, on the 2nd, a Sainte Barbe, holding a book and a short palm, a masterpiece of Troyes art ; the Chaire de vérité (pulpit), by the sculptor Simart (1806-1851) ; on the pillars in front of the altar are La Foi and La Charité (1551, Le Florentin) ; in the second chapel on the right a very realistic polychrome group of the Arrestation de Saint Crépin et Saint Crépinien, patrons of cobblers, is displayed. 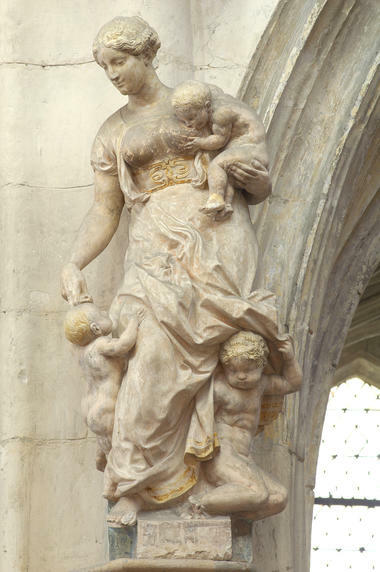 The church contains many other superb polychrome statues. 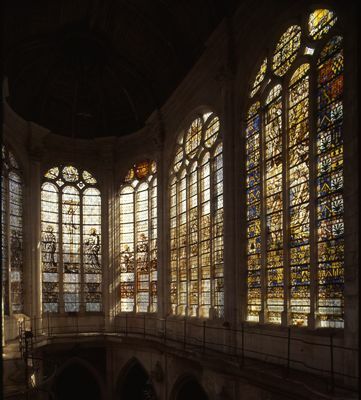 The historiated stained glass windows, often in grisaille, form a remarkable ensemble from the 16th century, including Histoire de Daniel and La Passion (1531), attributed to Jehan I Macardré.